Aircon Servicing Singapore: How Often Should We Recharge Our Aircon Gas? An air conditioning system at your residence or business establishment never requires recharging not unless there is a leak. Whenever there is a leakage, then it will be necessary for your air-conditioning system to be recharged with gas. This can be carried out by the aircon servicing specialists in Singapore. After recharging the unit with the gas, verification should be done to ensure that there is no more leakages. For this reason, homeowners feel it is a laborious process and will often prefer to have the recharge process conducted every year by experts. Certain units may have leaks that may not be easy to identify. This applies in instances where there are plenty of fittings, tiny bends in coils as well as in situations where the tubing is hundreds of feet long. For the case where the tubing is too long, technicians in Singapore trace the leakages using accurate tools that will guide them to the exact point where there is a leakage. However, there are also other technicians who may not have access to the right tools and will mostly rely on the bubbles produced when soap is applied for the identification of leaks. Once the leakage has been identified, the AC unit can be recharged with gas. 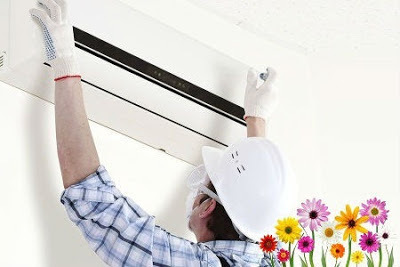 Before the air-conditioning unit is recharged with gas, it is a good idea to contact the manufacturer of your unit to recommend a competent firm in Singapore. In instances where the AC unit is not functioning properly, it may require more refrigerant to be added. Since you are not mechanically inclined to do the aircon servicing, you should understand that there are lots of regulations that guide the process of recharging a unit with refrigerant gas. The technicians in Singapore are highly knowledgeable on the products that should be used for recharging your system. Furthermore, majority of the suppliers of the air-conditioning recharge gas will only have it sold to licensed repair experts in the region. You should consequently contact only the licensed companies in Singapore to add aircon recharge gas. Technicians in Singapore recommend that tune-ups of AC systems be done annually. A normal air-conditioning maintenance routine will include inspection of both the interior and the exterior of your AC system. The professionals will recharge your unit with refrigerant gas with the right one for your system. Homeowners who have the older units will often have units that use Freon. On the other hand, the more modern units use Puron as a refrigerant. The technicians in Singapore do not advice homeowners to use the products interchangeably. It is better to consult a licensed firm to handle issues that are related to recharging gas into your unit. Ensure your AC system undergoes servicing and maintenance every year as this will enable it run according to the standards set by the manufacturers. This additionally affects its energy efficiency positively and the system will last a longer time. However, should a leakage be present, it will be necessary for it to be filled with aircon recharge gas which the firms in Singapore can easily do. Also, remember that an efficient system will be eco-friendly by conserving the energy resources.